Interval International and Yunnan Cloudreams Hotel Management, a subsidiary of Kunming City-Construction Real Estate Development Co. Ltd., announced an exclusive, multi-site club affiliation agreement. This currently encompasses three resorts in the Cloudreams Vacation Club: Pullman Lijiang Resort and Spa, Angsana Fuxian Lake, and Cloud Hotel Luoping, all in Yunnan province in southern China. Future properties developed over the term of the agreement will be included, as well. 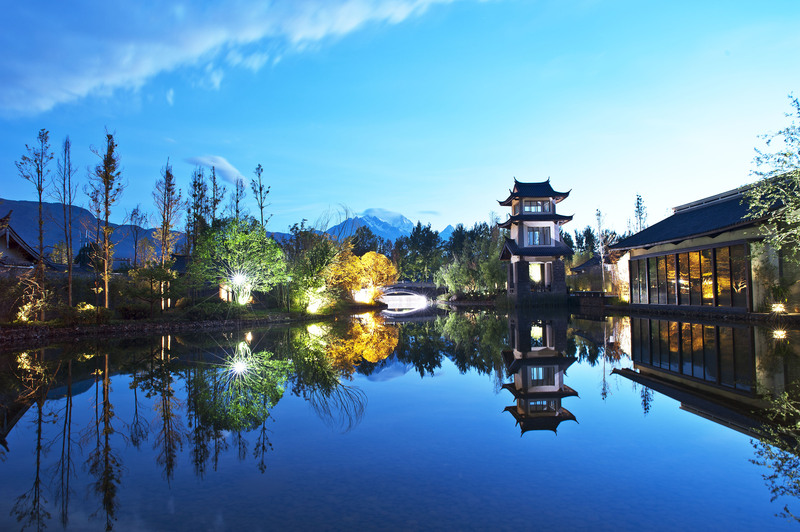 Pullman Lijiang Resort and Spa is close to Old Town Lijiang, a UNESCO World Heritage Site in the northwestern part of Yunnan province and a top tourist destination. With a sophisticated, elegant aesthetic created by a fusion of modern and traditional Chinese architecture, the property includes 30 one-, two-, and three-bedroom villas with private courtyards and stunning views of the Jade Dragon Snow Mountain range. Among the on-site amenities are two restaurants, a fitness center, hot tubs, and library/living room area. The nearby Old Town encompasses cobblestone streets, canals, and a central market square with shops and restaurants that date back to the late Song dynasty (960-1279). Angsana Fuxian Lake is on the shore of China’s largest highland freshwater lake in an area sometimes referred to as the “Hawaii of the Highlands,” an hour’s drive from Kunming city. Framed by the Maotian Mountains, the resort features 35 units with unobstructed views of the lake and mountains. Within the 74-acre (30 hectares) grounds of the Angsana Fuxian Lake Hotel, Cloudreams Vacation Club members have access to a wetland park, fine dining, lakeside bar, full-service spa, indoor and outdoor swimming pools, state-of-the-art gymnasium, children’s playground, game rooms, boating, tennis and basketball courts, and rock-climbing wall. Guests can visit the collection of prehistoric fossils at Maotian Mountain National Geopark approximately two miles (3.2 kilometers) away, and Luchong Banyan Forest just beyond, with its century-old trees. Cloud Hotel Luoping, in Luoping County 140 miles (225 kilometers) east of Kunming, is renowned for its scenic landscape. Located in the center of Qujing city in the eastern part of the province, the 124-unit Cloud Hotel Luoping has several buildings designed in a grand architectural style, set around a picturesque lake and lush gardens. On-site amenities and services include two restaurants, bar, game room, hair salon, daily housekeeping, laundry, and room service. Spectacular landscapes surrounding the property draw nature photographers and outdoors enthusiasts to explore valleys painted gold by expanses of rapeseed flowers, majestic waterfalls and canyons, and ancient wood and bamboo forests along the Duoyi and Maling rivers.